2017 will see a unique collaboration between Way of Nature UK and The Dark Mountain Project. 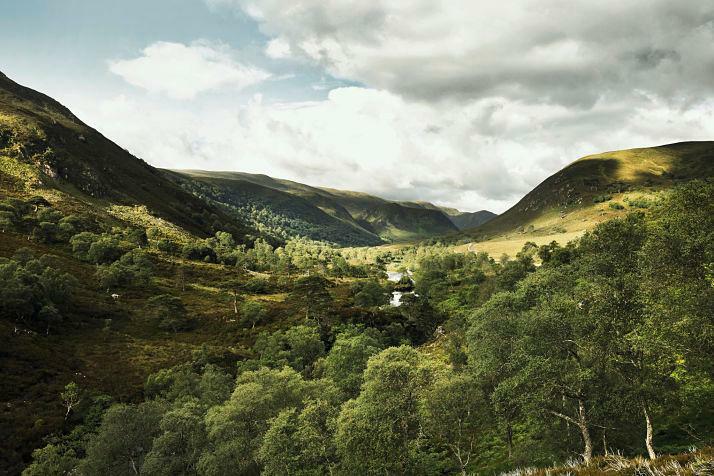 An eight month programme starts in the Highlands of Scotland at Alladale Wilderness Reserve and culminates in the untouched wilderness of the Carpathian Mountains in Romania. Applications are now open to join this journey and the early bird ticket rate ends on the 23rd of December. 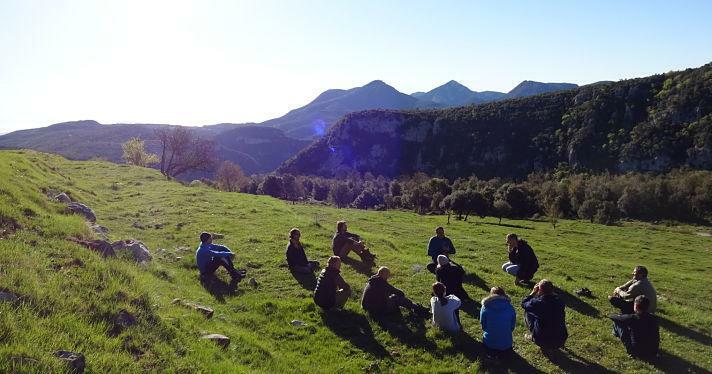 Way of Nature run extraordinary retreats and adventures in wild places, helping people find a deeper kind of stillness, balance and purpose in modern life. Their programmes combine ‘solo’ immersions in Nature, lessons from ancient cultures, and a healthy dose of adventure and good fun. A powerful antidote to the speed of the 21st Century, these experiences help many kinds of people make a real difference in their lives. Ecologically, economically and culturally, we are living in an age of crisis. But within every crisis is the opportunity to forge new narratives and new ways of seeing. Fire & Shadow aims to build these stories from the ground up. It will look with radical honesty at the state of the Earth today, to build an understanding of the failed stories which have led us to this point, and help us construct new ones together. It will explore intellectual, emotional and practical skills to help navigate the turmoil of our times and to find our roles within it; what we can do, what we can be, what we can offer. In times like these, it is easy to feel despair, anger, and confusion. This course aims to help us find a sense of wholeness and balance again, to navigate the world we live in, and use our skills for the best in times of fire and shadow. – How to look honestly at the state of the world, leaving behind both false hope and false hopelessness. – How to understand the stories which got us here, and to navigate the emotions they create. – How to see crisis as opportunity; to build new narratives for a time of change. – How to explore realistic options for change, both personally and more widely. – How to see the meaning and the beauty in nature and each other. Paul Kingsnorth co-founded the Dark Mountain Project in 2009. What began life as a small writers’ movement has since become an international network of many thousands of writers, artists and thinkers exploring the need for new ways of seeing in a time of change. Dark Mountain publishes two collections of writing a year and holds semi-regular events. Paul is also the award-winning author of five books of fiction, non-fiction and poetry, and an experienced teacher and facilitator. He lives on a smallholding in the west of Ireland. Andres Roberts is a guide and advisor dedicated to a new kind of progress, fit for a positive future for all. His work combines renewed ideas about learning and change, reconnection to Nature, and the wisdom of ancient cultures to help more positive, and more systemic, change happen. Building on twenty years of experience in learning and leadership, Andres has studied with respected elders from across the world, helping to make ancient wisdom and nature-based practices more accessible in the modern world. Andres is co-founder of Way of Nature UK and founding partner of The Bio-Leadership Project. The Fire and Shadow course will also feature two special guest teachers; one on each retreat. Details to be confirmed. Fire and Shadow is open to anyone, anywhere, who feels that these questions resonate in their lives, and who would like to explore them further in the company of others. We have space for up to 20 people on the journey. If you are interested in joining the programme we ask that you send us a short summary (no more than a few hundred words) saying something about why you think it is for you, and what you would hope to get out of it.